AMC (formerly American Movie Classics), in their first foray into scripted drama in 2007, called onto former writer/executive producer of The Sopranos, Matthew Weiner to turn his seven-year-old spec script about 1960s era ad men on Madison Avenue in Manhattan into one of the most widely acclaimed series in recent television history. Although only seen by a few millions viewers each week on American cable, Mad Men has penetrated the pinnacle of popular culture as it is widely written and discussed by top critics and entertainment writers. What the Emmy and Golden Globe Award-winning series does so artfully is delve into and pick apart a very specific place in time and culture to comment on our modern history heading into the present. By taking all we know now and with enough time having passed, Mad Men artistically and deftly explores society's psychological complexities and fallacies within our own humanity so we can learn and understand the human condition as it was in this specific time and place. The brilliance of the show is its devotion to its setting yet still maintaining a timelessness in its feel. By virtue of when it is set and how the show is produced today in the present, Mad Men reveals as much about the 1960s as it does about today. You can see exactly how the present is the clear product of that prior generation and its continuing influence. Without the baggage of being of or too nostalgic of that time, we can clearly consume the classic images on screen of that iconic time, digest its themes and ideas, and reflect on the commentary as it gives us insight about then and now. Problems of any people from any era or location are different but tangential. Like the meticulously thought out ad campaigns within the show, Mad Men reveals more about the consumer than the product itself. Character relationships are arched meticulously with psychological precision and care, expressing the restrictions and attitudes of an era that began to redefine human relationships altogether. 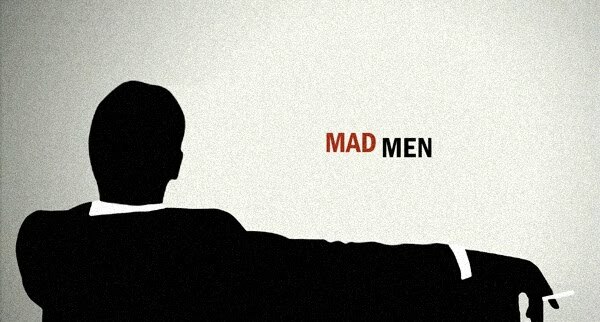 Mad Men is an irresistible blend of art, history, fiction, and culture, because eventually, we all go mad.